growing up in canada we had turkey for both thanksgiving and christmas. keep in mind, though, that those holidays are 2 months apart in the great white north – so it was doable. since moving to the states i’ve discovered that cooking turkeys 1 month apart means that i am so turkey-ed out by the time christmas rolls around that i kind of resent the fact that i have to make another one. so, we opted to make my personal favorite instead – ham. i love ham no matter how you slice it. or dice it. or shred it. 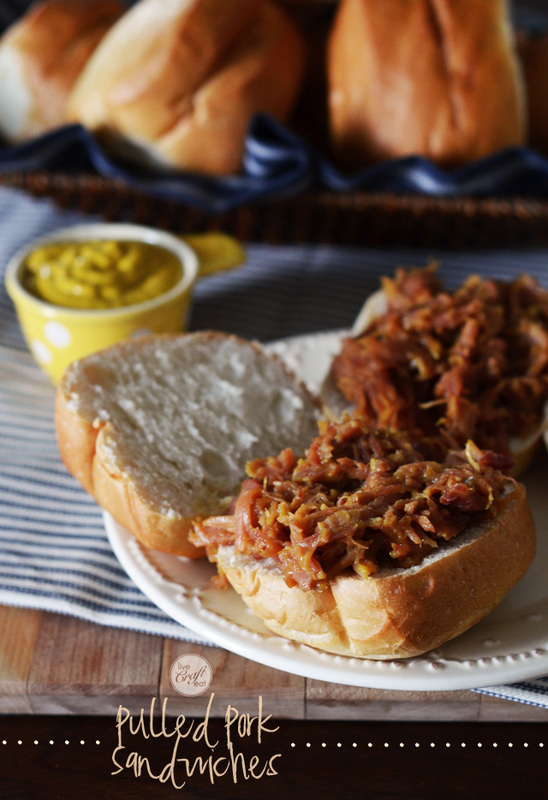 i went a little ham-crazy this year and bought 2. one for our christmas dinner, and one for these pulled pork sandwiches. while they are really easy to make and use only 3 ingredients, they do take a bit of time – but that doesn’t mean you have to constantly be in the kitchen. it’s pretty much a 2-day process. day 1 is all about simmering the ham for several hours. you don’t have to do anything with it during that time, but it does need to be doing its thing while you’re going about the day doing yours. then you shred it, add the other 2 ingredients, and let it sit in the fridge overnight. day 2 is all about letting it sit in the crock pot until you’re ready to serve and eat! #1. get your ingredients. this shouldn’t take long! 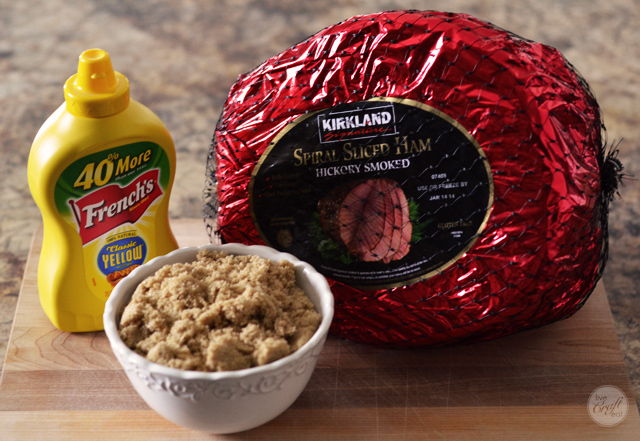 a bone-in ham, good ol’ yellow mustard, and brown sugar. #2. grab a big stock pot, place the ham inside, and fill with water so the ham is just covered. (you can cut the ham into 2 pieces if you need to in order to get it all inside the pot.) now you’re going to let it simmer for several hours. #3. once your ham has simmered for a while, take it out of the pot – it will fall apart easily, so be careful! discard all the fat and bones. shred the meat and add it straight into a crock pot. 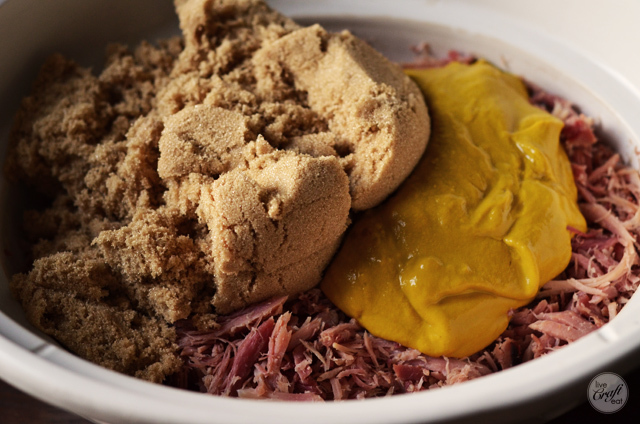 #4. once all the ham is shredded, mix together the mustard and brown sugar in a separate bowl (read: don’t do what i did and add them to the ham separately – it’s harder to get it to all mixed together!). add it to the shredded ham, stir to combine, cover, and place in the fridge overnight. and you don’t have to wait until christmas to try this recipe – easter is coming up soon! 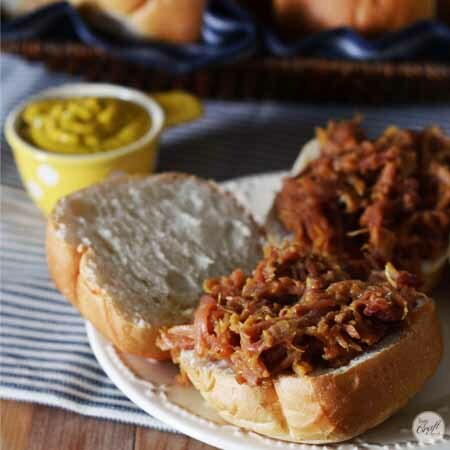 it’s also great for feeding a crowd, or for an easy crock pot sunday dinner. i’d personally eat this any day and everyday, so you really don’t need a “good” excuse! here’s the full recipe! enjoy! 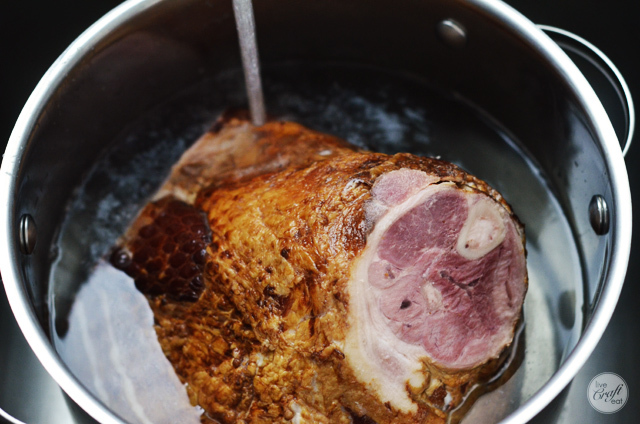 place ham in a tall stock pot and cover with water. bring to a boil. reduce to low and simmer for 8 hours. remove ham from water. shred meat, removing any bones and fat. 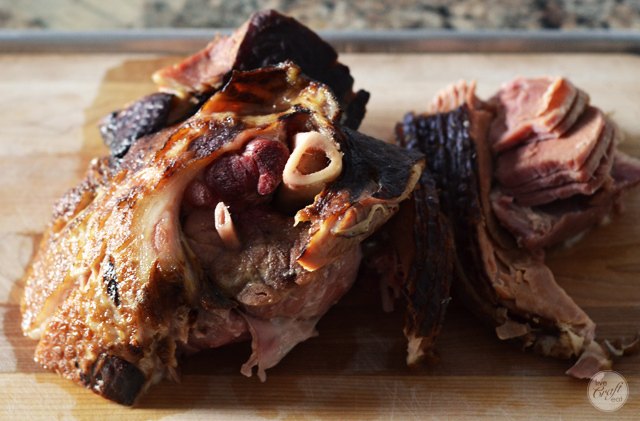 place shredded meat in a crock pot. in a separate bowl, combine mustard and brown sugar; pour over shredded ham and mix well, making sure that all the ham gets covered. cover and refrigerate overnight. reheat in the oven at 300 degrees for 2 hours prior to eating (if choosing this method do not place ham in a crock pot, rather, use an oven-safe dish), or place in a crock pot and cook on high for 2 hours. serve on yummy dinner rolls. enjoy!